Wisdom of Life. 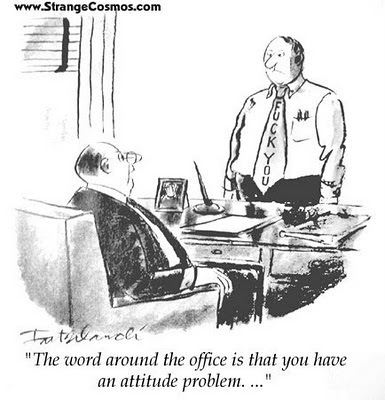 : Attitude problem in most offices. Wishing you and your family a Happy and Blessed New Year! Something happen to me and I need your advice. Attached is the letter for your comments. I read your entire letter and felt so sorry for you. In the first place, life is never easy because human being has emotion and feeling. Most of us could be sensitive and some are not. Those who are not are those who understand lives better. These are the likable and lovable people on earth. 1. They love to laugh and like to share with others. 2. They always like making others happier in any circumstances and environment. 3. They forgive and forget. Immaterial who is right or wrong. Forgiving and forgetting is a divine force from the heart. 4. They speak with passion and love. 5. They give unconditionally all the time, even they have to loose for some reasons. 6. Their expectation is much lower in return. They expect a little. 8. They try not to worry. 11. They always smile and smile. My dear, nobody in your office was wrong or right. If the world has all the perfect people, i think there would be no heaven. Everyone plays a role, some the bad role and some the good role. You have the choices! You can play either the roles yourself. As for me, i like to play the good role and be a likable and lovable person on this planet earth. Otherwise i would not be trying to make you happier and merrier. The New Year has just started. Would be nice if you could plan for a new resolution for this year....Be a likable and lovable lady. I know you can because you have a heart and a sweet personality. Food for thought - "Life ends when you stop dreaming; hope ends when you stop believing; love ends when you stop crying; friendship ends when you stop sharing. So share these with whoever you consider a friend."